You know that many of the survey companies that we list always have some special deals for you! When we started basic guides of EliteSurveySites, we wrote one article called: “The Ultimate Guide to Special Paid Survey Opportunities – You Always Can Make More”. In it we explained that people can always make more money. 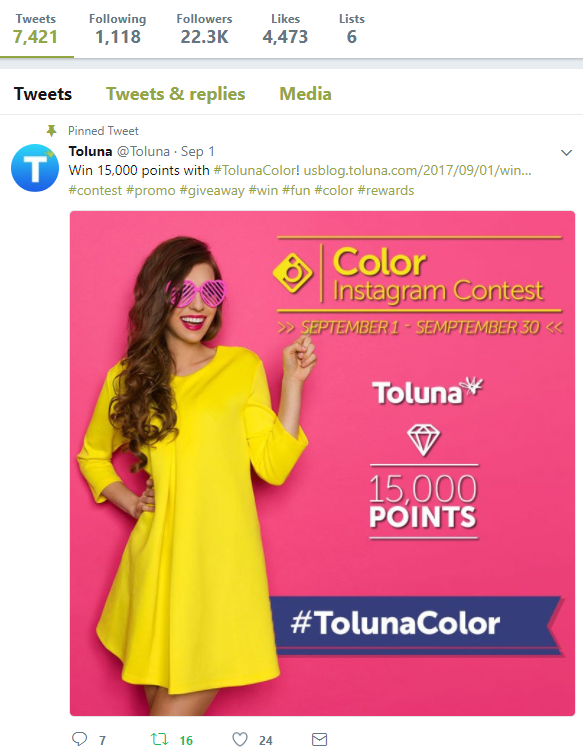 By following them on Twitter and their forums, you can always find out about these deals immediately and make more money. In this post, we will review some offers of the day by the top companies. Some of them are not even a big deal, but why miss them? Before we start, we highly recommend you to follow them on Twitter. By doing so, you will be the first to know about their offers. By following us, you will have all offers in one place. We always research and post them on our site for you to access them faster! Note that this offer is only for Twitter and Instagram. Also, it is required that you post your picture there. And you have to do this before September 30. In the link that we provided, you can also find the winders from #TolunaGetaway. So, what are you waiting for? 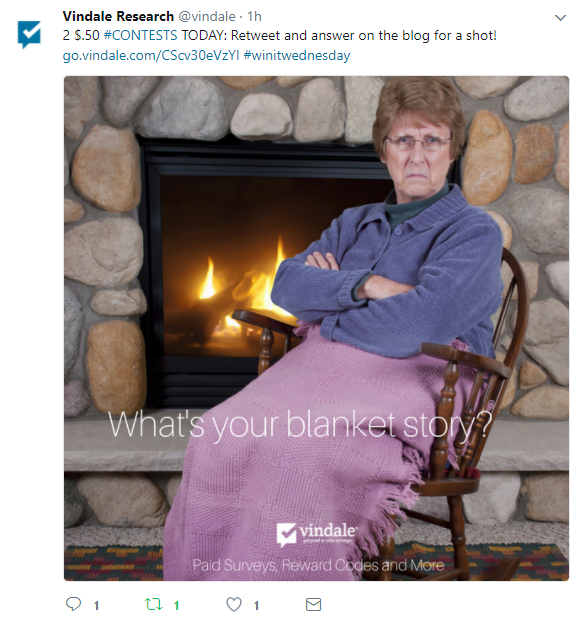 Simply, Vindale Research asks you to answer one question and then to retweet. You also have to be their member. If you want, you can read the official rules. Agree to our full rules – The link to them is on their page. Not a big deal, you’d say, but why skip it? We have already found 35 comments on their blog! Instead of some special survey opportunity, they ask you to use the Donate payment options. 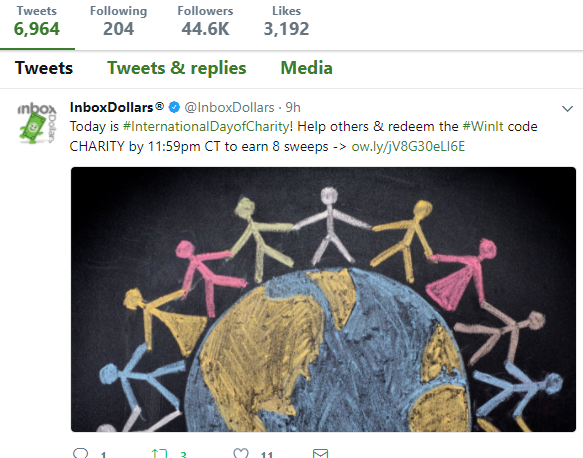 Today is the #InternationalDayofCharity! For those of you familiar with our site, you know that recently we started our surveys. In them we ask people how they feel about making money with paid surveys. One of the questions was to mention their favorite payment option. And one of the option answers was “Charitable Donation”. Unfortunately, this answer got the lowest votes. In fact, from 439 people answering this question, only 7 checked this one. Well, I know that everyone is here to make some money. But from time to time, especially on days like this one, we should use this option. I personally will encourage both you and our team who makes paid surveys every day, to test companies to use this option. These were our special survey offers of the day. If you know more, please post a comment below. Note that from now, we will start checking much more carefully all survey companies and their offers and will update you more frequently. To get updates from them, follow them on their social media channels. To all survey companies: If you are a legit survey company and have some deals for people, let us know and we will blog and promote you for free, of course. We love to promote each offer that people can benefit from. PanelPlace Survey Panel Review – Legit or Scam App?